Relaxing – The first clubhouse in our 55+ community has a rustic design that provides the look and feel of a cozy mountain lodge. A large stone fireplace, secluded pool with hot tub, and scenic nature view make this one of our residents’ favorite gathering places. Playing – When you’re feeling a little more on the lively side, head to our second clubhouse that features a bandstand, dance floor, tennis courts, pickleball, shuffleboard, horseshoes, bocce ball, billiards room, and much more. This clubhouse also has a whirlpool and heated pool where you can take a dip any time of the year. Staying active – Clubhouse #3 in our 55+ community is the perfect hangout for avid exercisers. Here, you’ll find a state-of-the-art fitness center, aerobics room, and a large lap pool. When you’re finished with your workout, you can relax your tired muscles in the spacious whirlpool spa that provides a stunning lake view. And, there are plenty of activities to enjoy, places to visit, and sights to see outside of our community’s secure gates. Central Florida is home to Disney World, SeaWorld, renowned beaches, and many other famous attractions. 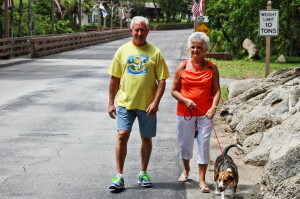 Our 55+ community also neighbors a municipal golf course, large shopping centers, fine restaurants, and much more. Though it may be hard to believe, you can have unlimited access to our onsite amenities and live in the heart of Central Florida for just one low, monthly homesite lease payment. This payment covers maintenance of all communal areas, trash and recycling, lawn mowing, and many other services provided in our 55+ community. What’s more, our quality built manufactured homes are priced to fit within the scope of just about anyone’s budget and are available for purchase with quick occupancy. If you’d like more information about Bear Creek and what makes us a leading 55+ community in Central Florida, contact us today. One of our friendly lifestyle consultants will be more than happy to tell you about retirement living in Bear Creek and answer any questions you might have about our affordable retirement homes.